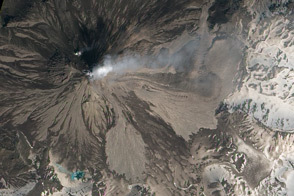 Peteroa Volcano emitted a stream of ash on September 26, 2010, continuing an eruption that began on September 6. The dark ash blew to the southeast, coating the ground. 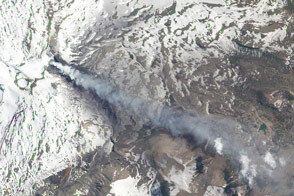 Directly under the plume, ash-covered snowfields are almost completely black, darker than the surrounding rock. 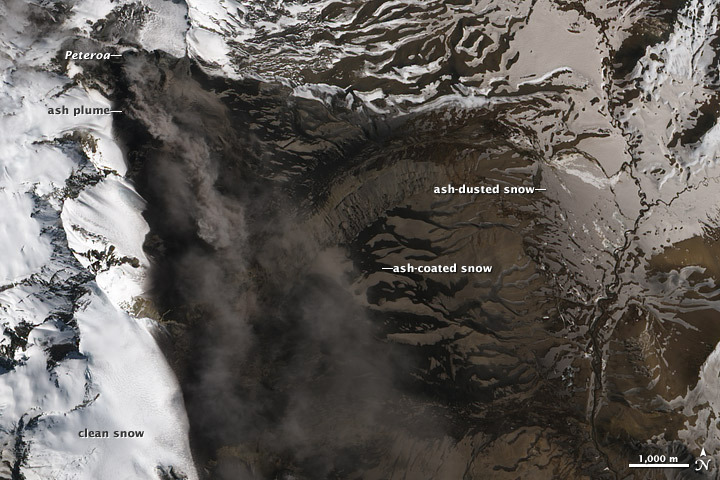 Along the eastern margin of the plume, the snow is colored brown, while upwind the snow remains white. Peteroa is part of the Planchón-Peteroa Volcanic complex in the Andes Mountains, along the border between Chile and Argentina. 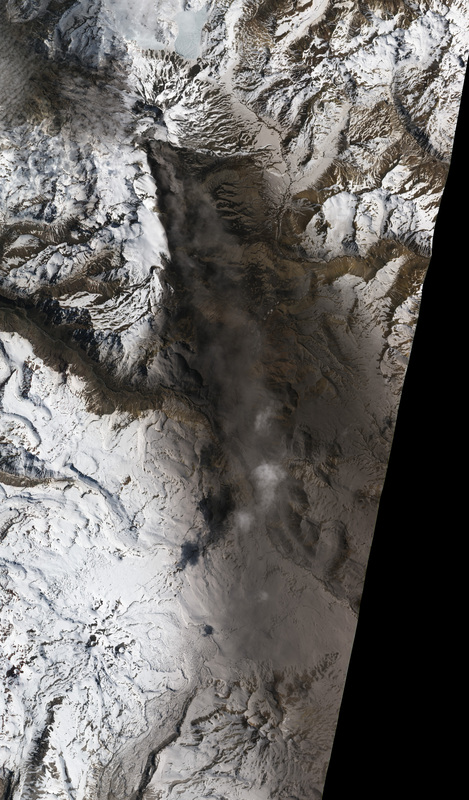 This natural-color satellite image was acquired by the Advanced Land Imager (ALI) aboard Earth Observing-1 (EO-1). Peteroa Volcano emits ash, continuing an eruption that began in early September. 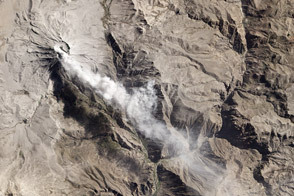 Beginning on September 6, 2010, Chile’s ice-covered Planchón-Peteroa Volcano has erupted a series of small ash and gas clouds. Global Volcanism Program. (n.d.). Planchón-Peteroa. Accessed September 27, 2010.